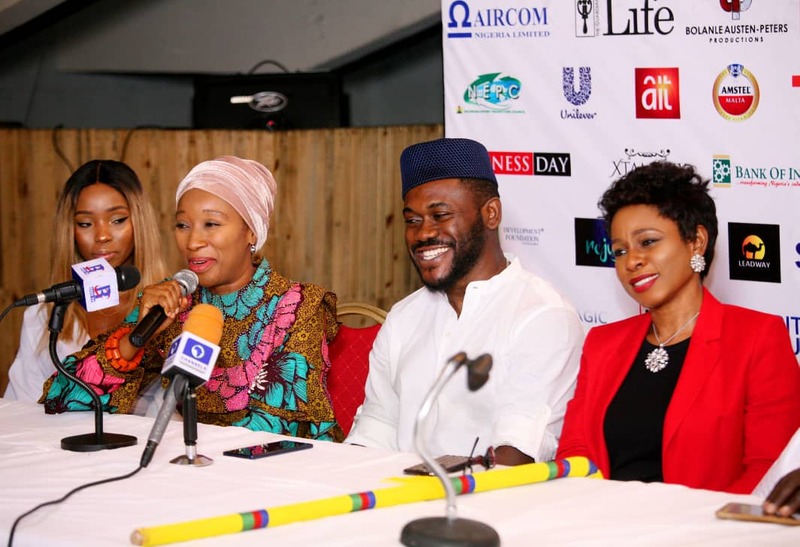 According to the Cultural Ambassador of QMA Initiative and the Executive Producer of Queen Moremi Ajasoro ‘The Musical’, Princess Ronke Ademiluyi, “It is part of His Majesty’s vision to transmit authentic African stories to the next generation for posterity”. The play is an authentic African superheroine story that brings to life the rich and colourful ancestral Yoruba heritage through the deeds of the Amazon, Queen Moremi – using music, dance and costumes. 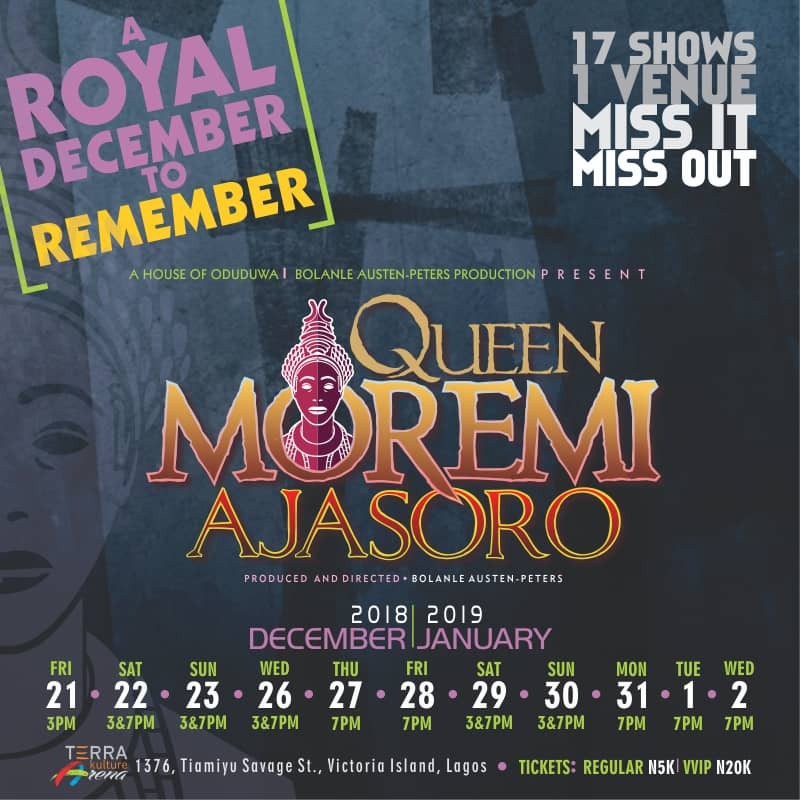 According to Princess Ronke Ademiluyi, the historical play which promises to thrill the audience with live music, royalty and incredible performances, is scheduled to hit the stage from the 21st of December 2018 to the 2nd of January 2019. 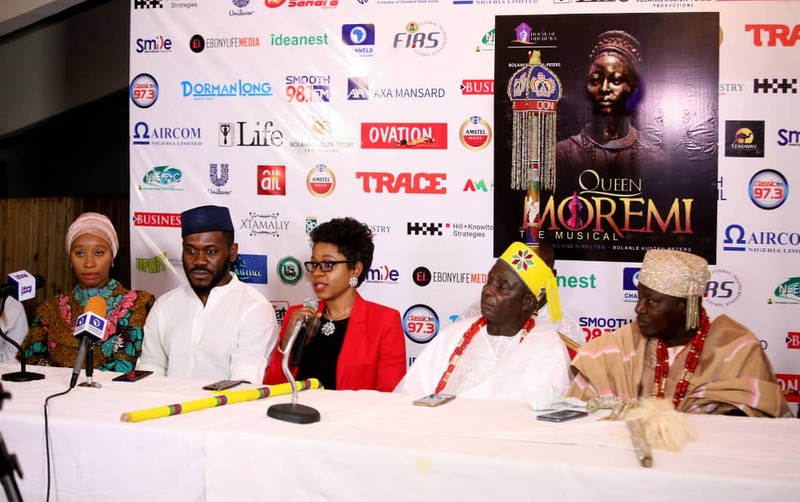 There will be a command performance for His Imperial Majesty, the Ooni of Ife on the 23rd of December 2018, all at the prestigious Terra Kulture Arena, in Victoria Island Lagos and there have been plans for the musical to go on a global tour to the U.K, Europe and the U.S later in 2019. 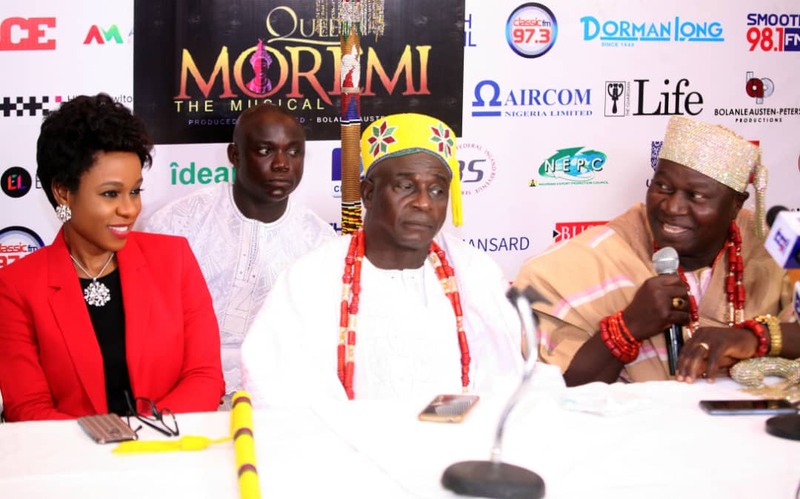 Tags: Queen Moremi ‘The Musical’.